In the ever changing world of fashion, a glimpse of gold transcends the trends, radiating an air of decadence and luxury. When teamed with other metallics, the glow is amplified and becomes even more brilliant. Above left: Gold Gun Necklace, centre: Charm Necklace 10, and right: Charm Necklace 1. 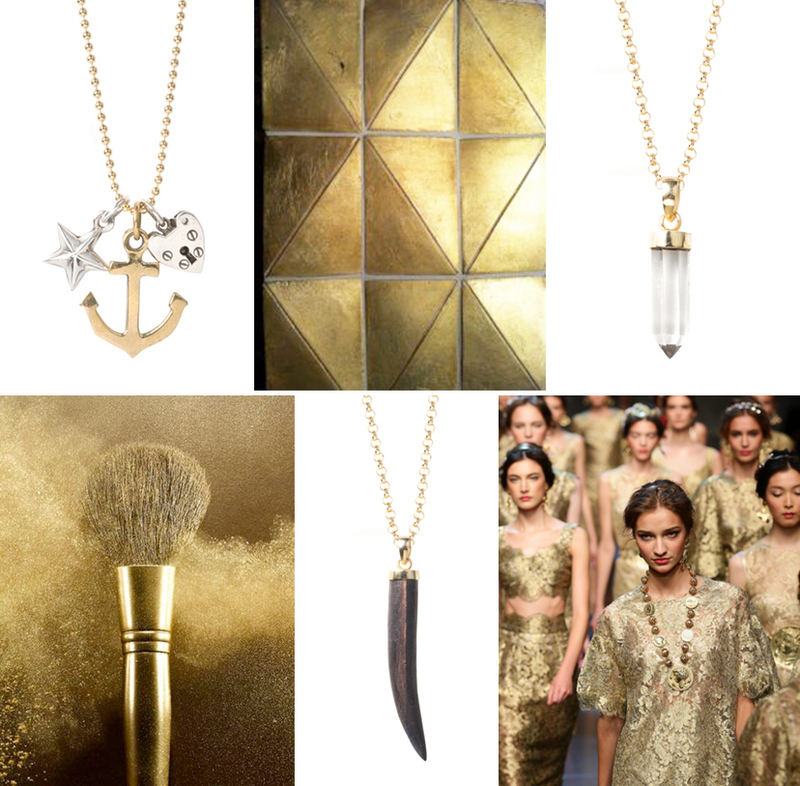 Above left: Fine Gold Compass Necklace, and right: Set of Three Layerable Necklaces. Above left: Charm Necklace 7, centre: 5cm Horn Necklace, and right: Gold Crystal Necklace. Whatever your preference – classic trace, contemporary ball or thick belcher – our irresistible collection of gold chains – crafted in solid sterling silver, with a 23.5 karat gold coating – are the perfect accompaniment to our gold, silver and brass charm collective. 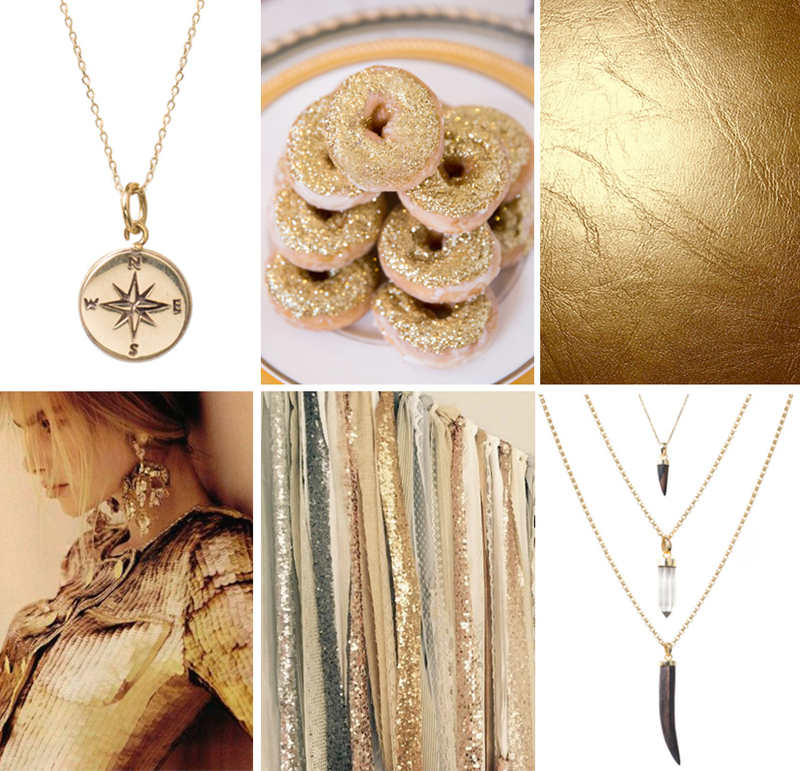 Climb onto the gold wagon and pick up a little luxe for the season ahead!